You will find below the horoscope of LeAnn Rimes with her interactive chart, an excerpt of her astrological portrait and her planetary dominants. Horoscopes having the same aspect Mercury sextile Uranus (orb 0°16'): Nicole Kidman, Pamela Anderson, Sophie Marceau, Che Guevara, Milla Jovovich, Emma Stone, Charlène, Princess of Monaco, Zooey Deschanel, Jeff Buckley, Tom Brady, Vivien Leigh, François Bayrou... Find all the celebrities having this aspect. Horoscopes having the same aspect Sun sextile Jupiter (orb 0°22'): Elvis Presley, Benedict Cumberbatch, Isaac Newton, Bradley Cooper, James Franco, Courtney Love, Alexander the Great, River Phoenix, Lorde, Claudia Schiffer, Vivien Leigh, Hugh Hefner... Find all the celebrities having this aspect. Celebrities born the same day: Shania Twain, Florence Welch, Jack Black, Johann von Goethe, Kay Parker, Armie Hammer, Gianni Giardinelli, David Fincher, Jason Priestley, Amanda Tapping, Philippe Léotard, David Soul... List of all the celebrities born on August 28. Celebrities clicked on in real-time: 576,893,309 times. LeAnn Rimes (born Margaret LeAnn Rimes August 28, 1982 in Jackson, Mississippi) is an American country music singer. Rimes emerged with the single "Blue" when she was only 13 years old, and by age 24 she had sold over 37 million albums. She has won an American Music Award, two Grammy Awards, three Academy of Country Music Awards, and twelve Billboard Music Awards. She holds three important records in the music industry, as the current youngest person to win a Grammy and her version of "How Do I Live" is currently the longest charting song on the U.S. Hot 100 at 69 weeks. Here are some character traits from LeAnn Rimes's birth chart. This description is far from being comprehensive but it can shed light on his/her personality, which is still interesting for professional astrologers or astrology lovers. 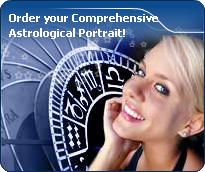 In a matter of minutes, you can get at your email address your astrological portrait (approximately 32 pages), a much more comprehensive report than this portrait of LeAnn Rimes. LeAnn Rimes, the diurnal South-western quadrant, consisting of the 7th, 8th and 9th houses, prevails in your chart: this sector brings about a thirst for communication and sometimes, a need to take risks in your dealings with others. Relations are a factor of your evolution and your transformation, which you accept serenely. Indeed, what matters to you is the movement and the energy that link you to others and that make you gain more awareness. A kind of rebellion or a desire to get away from it all is rooted in you. Cheers for communication and mobility, LeAnn Rimes! The predominance of Air signs in your chart favours and amplifies your taste for relations and for all kinds of short trips, whether real (travels) or symbolic (new ideas, mind speculations). You gain in flexibility and adaptability what you lose in self-assertion or in pragmatism. The predominance of Water signs indicates high sensitivity and elevation through feelings, LeAnn Rimes. Your heart and your emotions are your driving forces, and you can't do anything on Earth if you don't feel a strong affective charge (as a matter of fact, the word "feeling" is essential in your psychology). You need to love in order to understand, and to feel in order to take action, to the detriment of a certain vulnerability against which you should learn to fight. Your angular houses, namely, the 1st, 4th, 7th and 10th houses, are very emphasized in your chart, LeAnn Rimes: according to the Tradition, they are the strongest and most dynamic houses. Should the rest of your chart concur, angular houses suggest that you are an enterprising, energetic and assertive woman. Indeed, angular houses are said to generate impulsions and to give a powerful and domineering personality. After this paragraph about dominant planets, of LeAnn Rimes, here are the character traits that you must read more carefully than the previous texts since they are very specific: the texts about dominant planets only give background information about the personality and remain quite general: they emphasize or, on the contrary, mitigate different particularities or facets of a personality. A human being is a complex whole and only bodies of texts can attempt to successfully figure out all the finer points. Your sensitivity is withdrawn, LeAnn Rimes: more than anyone, you tend to lock yourself in your ivory tower, as you are aware of a kind of superiority that may be real, though overrated. Your moods are not perceptible because you control them with a tight fist. It is difficult to know if you are happy or upset because you show nothing. You avoid situations which compel you to reveal your emotions because you are not demonstrative. Please, be aware that it is not your amorous behaviour that is being analyzed, but the daily expression of your sensitivity. You dread the crowd and you need calm, and even solitude, to feel comfortable. You are well-equipped to remain balanced in all circumstances, but it may prove beneficial if you progressively take a relaxed attitude and show more dedication, as you are worth it; it is easier for you to exteriorize your feelings when your projects or your ambitions justify that you do so. You do not practice gratuitous outpourings, particularly when your are with a group, because you are afraid to open up, as if you were on the defensive, without any reason most of the times. You are so proud and generous, LeAnn Rimes, that the power of your love contains in itself your vulnerability. However, this is precisely what makes you charming and original. You are loyal and straightforward and you need to love as much as you need to be loved. Both feelings are tightly linked and there is a real danger that love is broken up by trivial misunderstandings, just because your touchiness is affected. You are demonstrative, brilliant, and even dramatic, with a legendary generosity. For you, everything is, or must be, excessive: gestures of love towards your partner, your presents, your comfort and the luxury, which marks your outings and your travels. You are physically a lion, at least, you have its sexual appetite; you are voluptuous and passionate. Flexibility is the only thing that is out of your reach, in the ways you show your love, as well as in your responses to annoying events. The ruler of the Ascendant, LeAnn Rimes, is Uranus. It is posited in the sign of Sagittarius and gives you a strong inclination for the open sea and for freedom. Loyal and benevolent, you put things into perspective, and you understand the true value of things, perhaps precisely because you travel - whether actually or mentally - and that stepping back from your intimate environment enables you to better perceive what is important and worthy. To assert yourself, LeAnn Rimes, you cannot rest until you multiply your contacts. Although you do not consciously understand your ambition early in life, you need to shine through your relationships. Your iron will is part of your assets, LeAnn Rimes. It is supported by an ingenuity and a skilfulness that may turn you into a mighty and feared personality. You have the knack of spotting weaknesses in persons you deal with and you can easily hurt them with your innate propensity to drill or to test their force. You are extremely stubborn and you never let go when you are convinced that you are right. Sexually, you are potent and passionate. You are domineering and secretive, with a magnetic personality. It is safer to avoid being taken in a conflict with you because you may be very aggressive and you bear grudges. In some cases, you may also be sadistic. Your personality is as secretive as it is domineering in the areas of action and sexuality. This text is only an excerpt from of LeAnn Rimes's portrait. We hope that it will arouse your curiosity, and that it will prompt you to deepen your knowledge of astrology, as well as to visit and use the wide range of free applications at www.astrotheme.com. Your Life Path is influenced by the Master Number 11, LeAnn, which indicates a strong, demanding, and uncompromising destiny. It is all about revelation and early calling. You feel that you are entrusted with a mission, with the certainty that no setback could endanger it, and your own certitudes prevail over any other motivation. You have a lot of strength, and sometime, intransigence. Short-lived fashions and life vagaries cannot weaken your beliefs. You pursue a set direction, in quest of an extraordinary destiny, with the help of your intelligence, your inspiration and the natural influence you have over people. Even though your entourage may not always understand your secret determination and perceive you mainly as an impatient person, your fortitude overcomes many a doubt and obstacle. You can sacrifice everything for the sake of your deep aspirations.